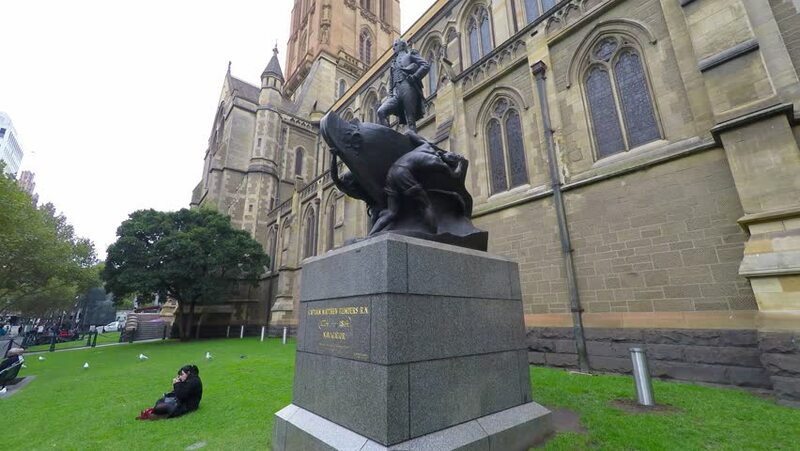 MELBOURNE, VICTORIA- 14 April 2015: Pan up view of Captain Matthew Flinders Statue, sculpted in 1923 by Sculptor Charles Web Gilbert in front of St Paul Cathedral, Melbourne, Australia. hd00:19Driving plate, side view, day time. Middle class neighborhood with 1930s & 1940s era wood-frame and brick-built homes. Camera mounted on Tyler Mini Gyro.